Terletak strategis di area kebudayaan, melihat-lihat di Kyoto, Hotel Grand Fine Kyoto Minami menyediakan tempat yang kondusif untuk melepas penat dari kesibukan Anda. Terletak hanya 2.5 Km dari pusat kota, para tamu berada di tempat strategis untuk menikmati obyek wisata dan aktivitas di kota ini. Bagi Anda yang ingin berjalan-jalan, Kitamukizan Fudoin, Anrakujuin, Jinen & Ichiba hanyalah beberapa dari obyek wisata yang tersedia bagi para pengunjung. Dengan menawarkan pelayanan superior dan sejumlah fasilitas kepada para tamu hotel, Hotel Grand Fine Kyoto Minami berkomitmen untuk memastikan penginapan Anda senyaman mungkin. Hotel ini menyediakan akses ke sejumlah pelayanan, termasuk layanan kamar 24 jam, WiFi gratis di semua kamar, layanan kebersihan harian, resepsionis 24 jam, penyimpanan barang. Akomodasi hotel telah dipilih secara cermat demi kenyamanan maksimal dengan adanya handuk, lantai karpet, sandal, televisi layar datar, cermin di beberapa kamar. Disamping itu, hotel memiliki berbagai pilihan fasilitas rekreasi yang menjamin Anda melakukan bermacam hal selama menginap. Dengan lokasi dan fasilitas ideal yang setara, Hotel Grand Fine Kyoto Minami dapat memenuhi berbagai macam hal. Waktu check-in berbeda berdasarkan rencana. Silakan untuk memeriksa dan memastikan kebutuhan khusus setiap kamar sebelum membuat pemesanan. Properti tidak dapat menerima permintaan khusus apapun. Untuk tamu yang memesan kamar dengan waktu check-in terbatas, check-in tersedia mulai dari pukul 19:00 ke depan dan check-out tersedia hingga pukul 12:00. Accommodation tax of JPY 200 is charged at the property per person per night for room rates less than JPY 19999. Accommodation tax of JPY 500 is charged at the property per person per night for room rates between JPY 20000 and JPY 49999. 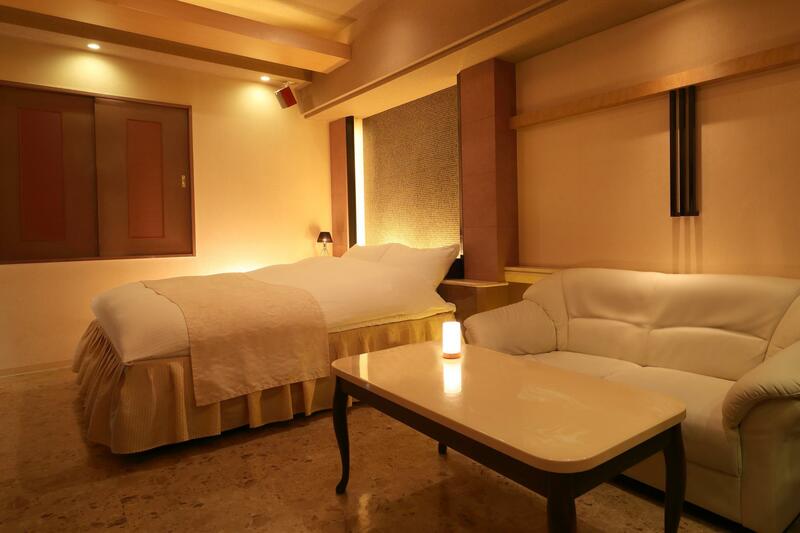 Accommodation tax of JPY 1000 is charged at the property per person per night for room rates of JPY 50000 and over. Excellent location, HUGE room with 6 stars comfort and facilities. Friendly staff, amazing choice of 8 different kind of breakfasts. Great, quiet, safe location. 10 minutes from subway. Opposite of the hotel is a mini supermarket. Plenty of restaurants in the nearby and supermarket. The bathroom had jacuzzi, sauna, tons of amenities, as I said not 5 but 6 stars!!!!! The hotel was ok and the staff were friendly. Although it really felt like a love hotel - maybe it is? The real deal breaker is the location. The hotel is in an industrial area. We stayed in an Air B&B the other nights and had a much much better experience. Very nice bathtub and everything, however no good englisj movies. Everything is good except the room is stinks! If u don't mind the cigarette smell u may go ahead. Facilities is alright. Location u can't expect a 5 min walk to the station. It is more than that. 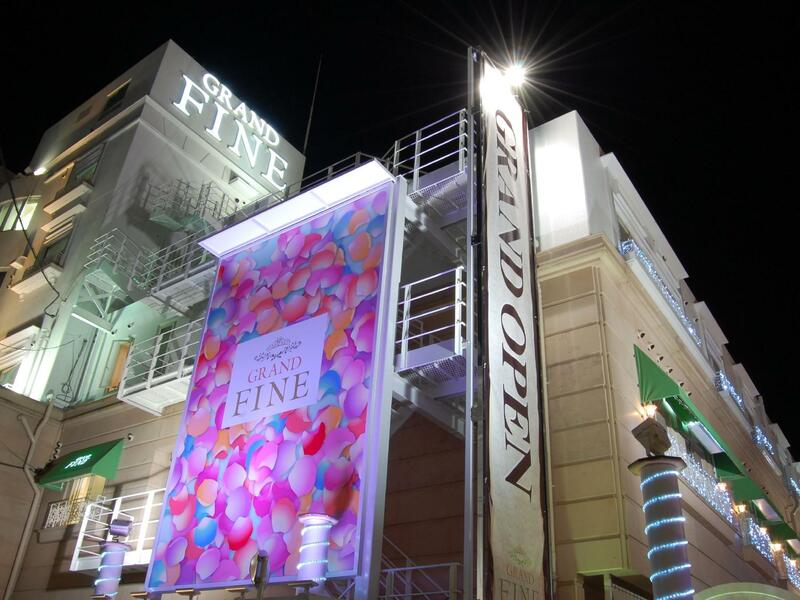 At first I didn't know Grand Fine Kyoto was for adult hotel. But, I was fine. Facilities inside room was great, there's a bathub complete with salt and soap. At second day I have ramen for breakfast and it was superb. I still remember that ramen taste. 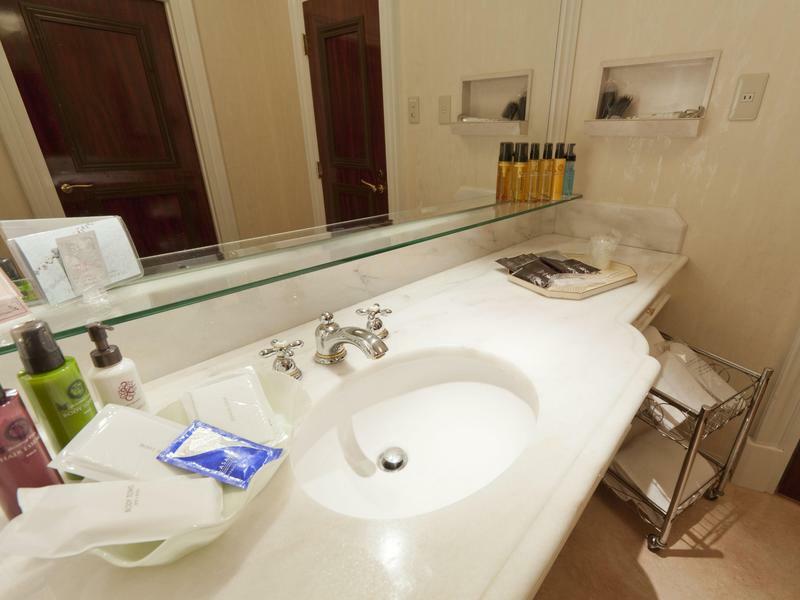 Bathroom also has hairdryer and curling iron. What a complete hotel. Thank you! A wonderful room with every possible facility. Location a bit outside. Service very good. The hotel room was spacious, with nice comfort and cleanliness. However the location is right out of the way of any major attractions and not much shopping there either. The staff were friendly enough but lacked any English ability. We knew from the first booking that it is a LOVE hotel. The room is surprisingly spacious. All rooms are smoking rooms but because of the huge room space resulting to have a good ventilation. Breakfast is served to the room. Very comfortable. We expected the place to be quirky. What disturbed us the most was the overwhwelming smell of smoke in our nonsmoking room. The other thing was the free breakfast option. They are better off not including it as a perk unless they plan to enhance it. Absolutely love the big room. Quite far from train station is a minus if you need to use the train a lot. I stayed day only one day (on our last night at japan), we took cab to kyoto station whc cost us 700 yen whc is quite okay. But if we stay few nights there, we would spent so much on transportation coz the nearest train station not covered by the Japan Rail Pass. Love hotels are exactly what you need when you want to relax and catch up on some sleep after tirelessly hopping around Japan for a few days. A pachinko machine, hot tub, vibrating massage wand and king size fluffy bed is what we got all to ourselves (along with a lingerie distributing machine). This place got quite a few giggles out of us! The kitschy design is reminiscent of a 90's Las Vegas luxury hotel. Very clean and comfortable. Honestly, we loved this place to bits. We have stayed in many hotels from 2-5 star. This was the worst hotel we have ever stayed in. We booked a non smoking room but it reeked of tobacco smoke. There was a slot machine in the room yup a slot machine to gamble on. Whilst the room had been sort of cleaned it was obviously just a dusting down. There was a fridge with 1 free water and a pack of crackers. There was another fridge type cabinet and when I opened it, it was selling ladies underwear + other materials. The room came with breakfast, I ordered the bacon meal, this is delivered to your room. It consisted of 2 skinny strips of bacon, 1 small fried egg and 1 slice of toast cut in half + 1 cup of coffee. Considering the price I paid for this hotel I was totally ripped off. My advice to anyone contemplating this hotel only stay here as a last resort which is what we did. The room had it all, poker machine, projector screen, spa, 2 types of hairdryers. I don't want to give it all away but the room is fantastic. The only down side was that the hotel across the street had elevator music piped out 24hrs a day and you could hear it faintly in the room. Service was excellent and staff spoke English very well. We had an incredible stay here and wish we could stay forever. We were so surprised as assumed love hotels to be a seedy and dirty thing, but now we have regrets we didn't stay here for our whole trip! It was so clean, nice, and had absolutely everything we could ever dream of and more.. we couldn't believe the value for money!! The hotels around the block also look pretty awesome and we'd check those out too next time. Don't be put off that this is a love hotel because it is honestly better, cooler and more unlike than any hotel we've ever stayed in! Let's just list the things that came in this room: - a torch - a whirlpool spa bath - colour changing LED lights in bath - an LCD TV in front of spa bath - a sauna - a karaoke machine - speakers in all corners of ceiling for karaoke surround sound - slot machine - playstation - king sized bed - colour changing light controller station by the bed with dimmers - couch - drinks fridge vending machine - fun things vending machine - normal fridge - aroma lamp - hair straighteners/ionizers - warming toilet seat - bath salts - slippers - robes of different kinds - unlimited free udon noodles - jukebox TV system with over 200 different music channels - and a personal massager - wish we never had to leave - definitely be back on our next trip!